A brief explanation of how the idea was born and why you need Fix It Sticks! What makes us different? (other than the completely different approach?) Compact - around 4 inches long, ½ inch wide. Fits inside the width of a tube. Packs easily in a seat bag or jersey pocket. No Moving Parts - Fix It Sticks bits are pressed into place and do not come out. 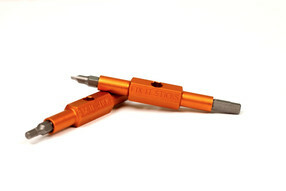 No lost bits and no frustrating failures from moving parts. 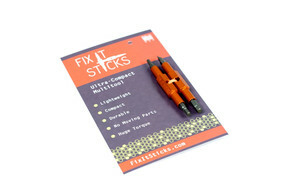 The greatest advantage of Fix It Sticks is the ability to use the same tools you use at home on the road. 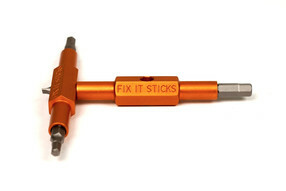 Instead of buying shop tools for the garage and a multitool for your saddlebag, just buy Fix It Sticks once.